Have a question regarding the cross-cultural requirement? Need help determining which trip you should choose? 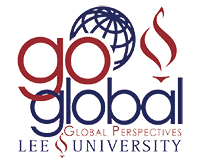 The Global Perspectives office is here to help with any questions you may have. Angeline McMullin is the director of Global Perspectives. Angeline graduated from Lee with a Bachelor of Arts in Psychology in 1996 followed by a Master of Liberal Arts degree in Organizational Leadership in 2003. She has been the director of the Global Perspectives office since 2012. Amy Beth Gardner is the secretary in the Global Perspectives office. Amy Beth graduated from Lee with a Bachelor of Arts in Communications in 2006 followed by a Master of Arts degree in Youth and Family Ministries in 2007. She has worked in the Global Perspectives office since 2009.